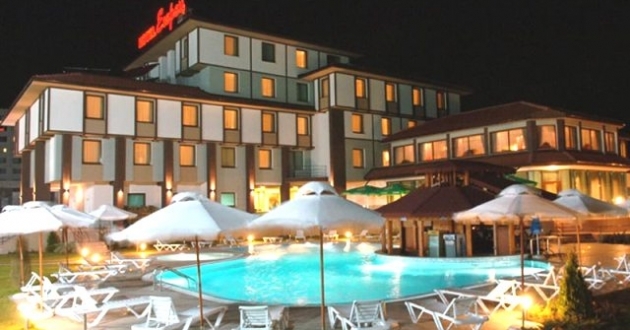 Location: Hotel Ezeretz is conviniently located near the main road coonnecting Sofia, Blagoevgrad and Kulata border point with Greece. The center of Blagoevgrad is not far from the hotel. Accommodation: 45 double rooms, and 5 apartments. All premises are equipped with cable TV, telephone, mini-bar, high speed Internet, modern bathroom, heat and sound insulation, room-service and central A/C management. A panoramic elevator is provided for quicker access to the hotel rooms.